“We have decided to invite the government in Skopje to begin accession talks to join our alliance,” the leaders said in their summit communiqué. The invitation to the small Balkan state of two million people comes despite opposition from Russia, which sees its influence in the region diminishing. While the NATO summit was ongoing, the news broke that Greece will expel the two Russian diplomats and ban entry to two others on suspicion that they tried to undermine the Skopje-Athens agreement. 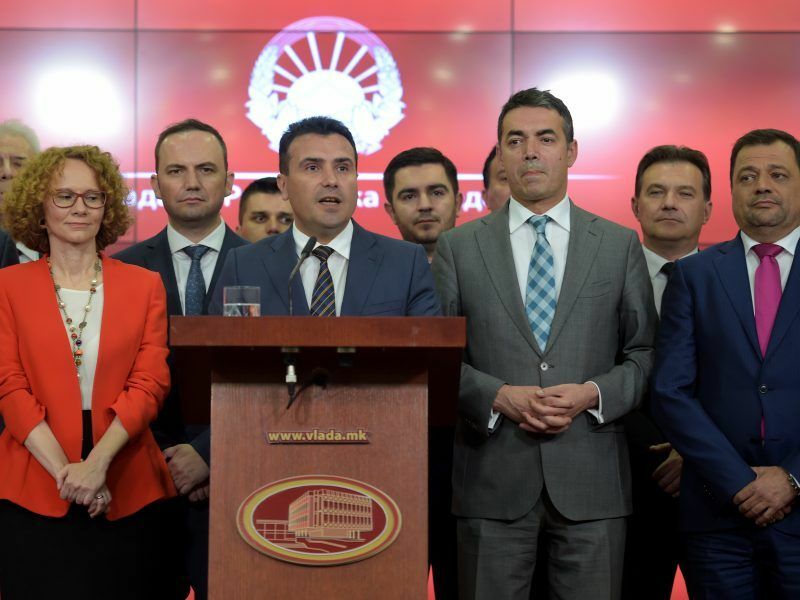 In Macedonia, the opposition VMRO-DPMNE party of former Prime Minister Nikola Gruevski, as well as the country’s President Gjorge Ivanov, from the same political force, oppose the name agreement. Greece has claimed for years that the name Macedonia implies a territorial claim on its northern province with the same name. 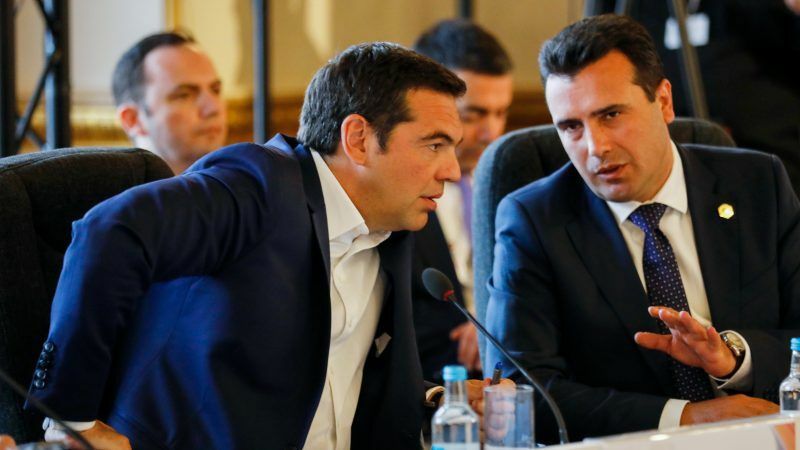 But the government of Macedonian Prime Minister Zoran Zaev, a social-democrat, pushed for an agreement with Greece after coming to power in 2017, and the compromise on the name reached on 12 June opened the way for Macedonia’s membership of NATO. NATO accession talks are much shorter than the EU’s (this is why NATO calls them “talks”, in contrast with the EU’s “negotiations”), a NATO official told EURACTIV when asked to describe the next steps for Macedonia ahead of its full accession. The talks, the NATO official said, represent the final stage before the country is invited to join. Normally accession talks take 4-5 months, with the sides going through area by area to make it clear what exactly happens when the country will become a EU member: how much it will contribute to the NATO budget, how many officers it will provide to the common structures of NATO, and how many people they will have at the Alliance’s headquarters. Also, during the accession talks the reform process to meet NATO requirements is discussed. At the end of the process the country confirms it wants to join NATO, after being clear with all details, presents its reform plan, and NATO signs the accession protocol. Macedonia’s accession talks are expected to finish by January, and the accession protocol is expected to be signed then, the NATO official said. Asked about the referendum which Macedonia will hold, as foreseen under its agreement with Greece, the official explained that for NATO what mattered is that the name agreement is implemented. NATO understands that after the agreement is implemented, Athens will ratify it. “What we would like to see is the implementation of the agreement, that is, constitutional changes in Skopje”, the official said, adding that NATO hopes that citizens “see the opportunities of NATO membership” and vote in favour at the referendum. In terms of timeline, he said that, according to the information NATO has received from Skopje, a referendum will be held in autumn, paving the way for a change to the constitution, and they hope to achieve this by mid-December, allowing the accession protocol to be signed in January 2019. After the accession protocol is signed, it is sent to all 29 member states, who will need to ratify it according to their national procedures. The official said that the country NATO will be watching very closely is Greece, stating that the agreement says that once Skopje has changed the constitution, Athens will ratify the name agreement and the accession protocol simultaneously. Ratification in member states typically takes a year, meaning that the full process of accession will probably be concluded by the end of 2020. Once a country is invited to start accession talks, it benefits from invitee status and consequently takes part in a lot more NATO activities, the official said. Asked about the possibility of another member state, possibly the Netherlands or France, failing to ratify, the official said that it was strongly assumed that since all member countries agree that accession talks should start, they bore responsibility to ratify the agreement.